R&H Theatricals Europe is proud to announce this premiere production of In The Heights, to be performed at the Southwark Playhouse from May 2014. 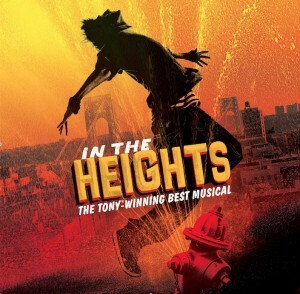 Winner of the 2008 Tony Award for Best Musical, In The Heights is conceived by Lin-Manuel Miranda with Music and Lyrics written by Lin-Manuel Miranda and Book by Quiara Alegría Hudes. In The Heights is an exhilarating journey into Washington Heights, one of Manhattan's most vibrant communities – a place where the coffee from the corner bodega is light and sweet, the windows are always open and the breeze carries the rhythm of three generations of music. It’s a community on the brink of change, full of hopes, dreams and pressures, where the biggest struggle can be deciding which traditions to take with you, and which ones to leave behind. With a gripping story and incredible Latin and hip-hop infused score, In The Heights is a groundbreaking 21st century musical about what it takes to make a living, what it costs to have a dream, and what it means to be home. Southwark Playhouse Artistic Director Chris Smyrnios said today: "In the Heights is a celebration of community and identity, but it is also a chronicle of the challenges facing a neighbourhood on the cusp of change. With Southwark Playhouse sitting at the heart of a passionate community faced with significant redevelopment, it's an inspiring place to be debuting a new production of this bold piece." The London Premiere will be directed by Luke Sheppard, Associate Director of Matilda in the West End / Broadway, and also Singin’ In The Rain at Chichester Festival Theatre / Palace Theatre. 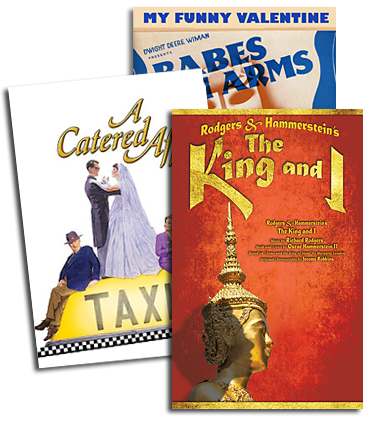 Recent directing credits include Hundred and One Dalmatians at the Castle Theatre, Happy Never After at Pleasance Theatre, Peter Pan at the Beck Theatre, Mort at the Rose Theatre, Bed And Sofa at the Finborough Theatre, and The Great British Soap Opera and Jet Set Go! at Jermyn Street Theatre. It will be choreographed by Drew McOnie, whose recent work includes the critically acclaimed new production of Chicago at Leicester’s Curve Theatre and The McOnie Company’s inaugural production Drunk at the Bridewell Theatre. Other recent work includes a collaboration with Matthew Bourne for the Coronation Festival Gala at Buckingham Palace, West Side Story for NYMT at Victoria Warehouse, 13 directed by Jason Robert Brown at the Apollo Theatre, Laurel and Hardy at the Watermill Theatre and the UK Tour of James and the Giant Peach. The production runs from Friday 9th May to Saturday 7th June 2014. For more information and tickets, please click here.